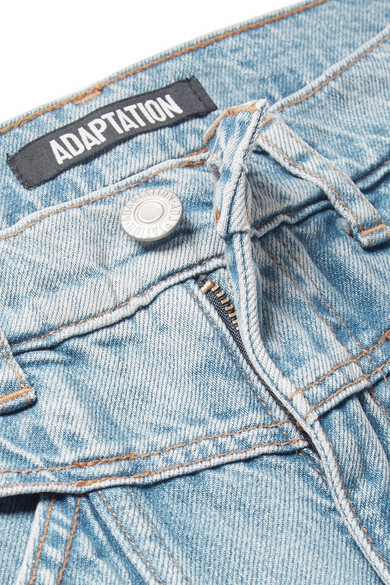 Adaptation founder Ali Fatourechi traveled across the USA visiting different college campuses for a year to better understand what women are looking for when it comes to the perfect jeans. 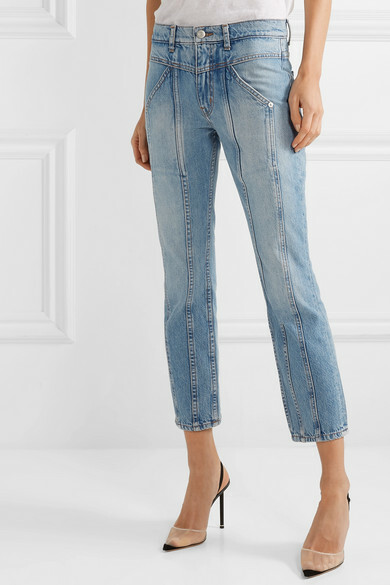 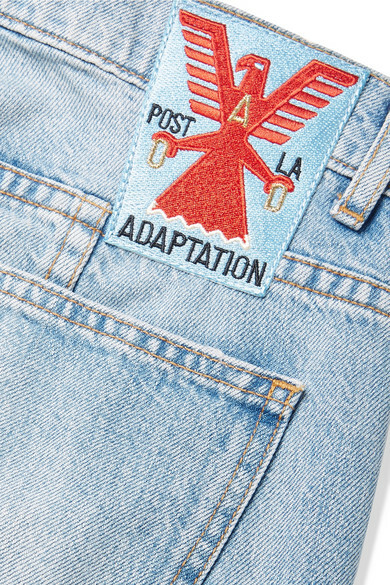 Made from panels of rigid denim, this skinny 'Rider' pair is cropped just above the ankle and turns to reveal an embroidered patch that references the designer's hometown of LA. 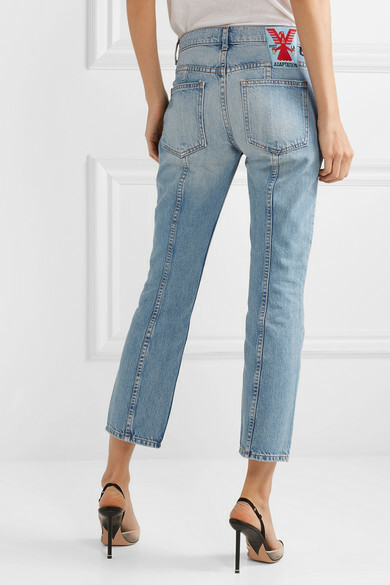 They're lightly faded at the natural points of wear. 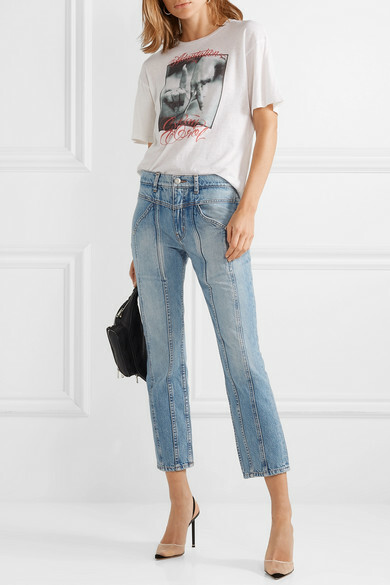 Shown here with: Adaptation T-shirt, Alexander Wang Belt bag, Alexander Wang Pumps, Sophie Buhai Earrings.